When it comes to deciding whether to eat organic food or conventionally grown food, the answer isn't always clear. Consumers trying to make the best decision for themselves and their families should consider the bigger picture. Whether organic foods are healthier is controversial and doesn't appear to have an easy answer. The long-term effects of pesticides on the developing bodies of children are still largely unknown. Some research connecting early pesticide exposure to developmental diseases is flawed or poorly understood. Organic foods are not free of pesticides themselves: organic farmers rely on pesticides that natural, with some exceptions. Avoiding pesticides altogether will be challenging for even the most conscientious consumers. 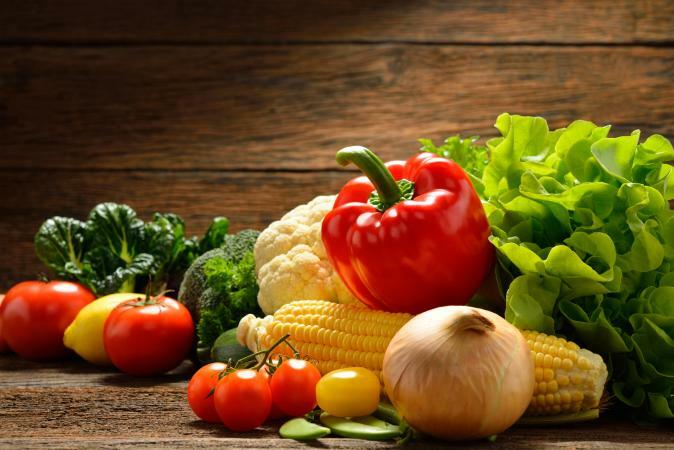 Many of the concerns related to non-organic food do not take into account that fruits and vegetables can naturally contain toxic substances like hydrogen peroxide. However, the health benefits of consuming fruits and vegetables are clear. Many of the potential health benefits of organic food stem from concerns about the long-term health consequences of the various chemicals used in conventional agriculture. According to a 2013 report by the Center for Ecogenetics and Environmental Health (CEEH), there have been few studies on people who aren't exposed to pesticides in their daily jobs. Even so, a 2015 study published in Environmental Health Perspectives concluded eating organic produce reduces your risk of pesticide exposure. A separate study published in Environmental Health suggests a link between pesticides and an increased risk of ADHD in boys ages 8-15. People exposed to pesticides in their jobs often experience, according to CEEH, nausea, dizziness, and confusion, among other symptoms. Additionally, chronic low-dose exposure is linked to things like respiratory and memory problems, birth defects and miscarriage, and cancer, to name a few. The degree of pesticide exposure may make all the difference in terms of the health consequences. In theory, people should be able to bypass some health risks associated with these chemicals by consuming organic food. The Environmental Protection Agency (EPA) claims the pesticides of today are safer and more targeted than the pesticides of the past. And Moyer indicates pesticides found in even the most contaminated produce are still well below the EPA's exposure limits. However, the EPA's exposure limits have been the target of criticism. With herbicides like atrazine, for instance, some scientists believe the EPA's standards aren't strict enough, according to Kari Lydersen at the Washington Post. The debate about the quantity of pesticides and other agrichemicals that humans can safely tolerate is ongoing. According to the Mayo Clinic (Mayo), studies have not showed organic foods are more nutritious than conventionally grown foods. The National Institutes of Health also concluded in their 2012 review that the evidence is lacking. Mayo says people who consume organic foods will take in fewer additives. So consumers may avoid some chemicals, but they won't get more nutrients. Evidence suggests organic food is better than non-organic food for the environment. Limiting the pesticides, herbicides and other chemicals that get into the water and soil is a good thing for protecting the delicate balance of nature. Agrichemicals can get into water supplies through everything from runoff to atmospheric deposition. The environmental damage that agrichemicals can cause has widespread consequences for people everywhere. Choosing organic food is also better for the workers who tend the fields. Beyond Pesticides (BP) indicates that when people buy certified organic products, they'll know the associated workers did not come in contact with poisonous chemicals on the job. Working in organic fields means they don't have to touch or breathe those harmful chemicals, which improves their health and the health of people who live near the fields. If organic farming is combined with fair-trade practices, farmers and their workers might also make more money than they would farming a conventional field, according to BP. While everyone wonders about organic foods in general, many people wonder specifically about vegetables. Most health professionals agree that eating non-organic vegetables and other produce is better than eating none. According to the National Pesticide Information Center, by the time fresh produce reaches your table, pesticide levels are often well below legal safety limits. You can decrease your exposure even further by thoroughly washing vegetables and discarding outer leaves, as well as peeling them (although this may reduce nutrition levels). Sometimes the answer for whether organic vegetables are better depends on the actual vegetable. The farming practices necessary to produce organic food are relatively expensive, which often makes organic food itself comparatively expensive. 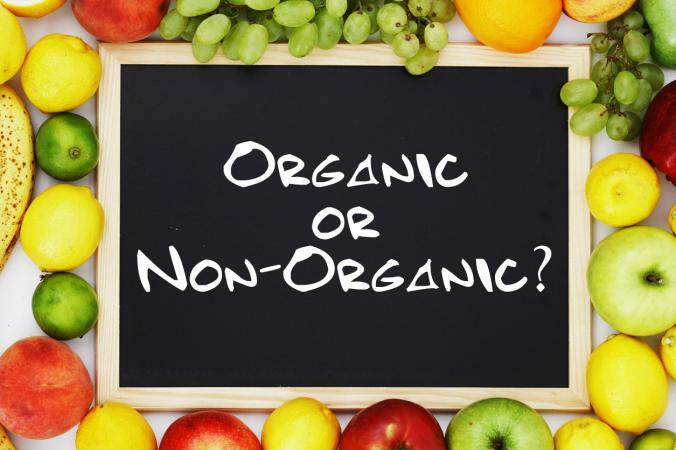 Organic foods are prone to spoiling faster than many conventionally grown foods since using preservatives and waxes isn't allowed in organic farming. Some people may take issue with the aesthetics of organic produce, especially compared to commercially grown produce. Given its benefits for workers and the overall environment, organic food may be particularly beneficial on a societal level. Individuals may avoid some health risks by eating organic food, but given the prevalence of environmental toxins, people won't be able to shield themselves entirely. Factors like taste and cost are comparatively important on an individual level, and some people may prefer organic food. Switching to organic food presents some challenges, but many people may find it rewarding.